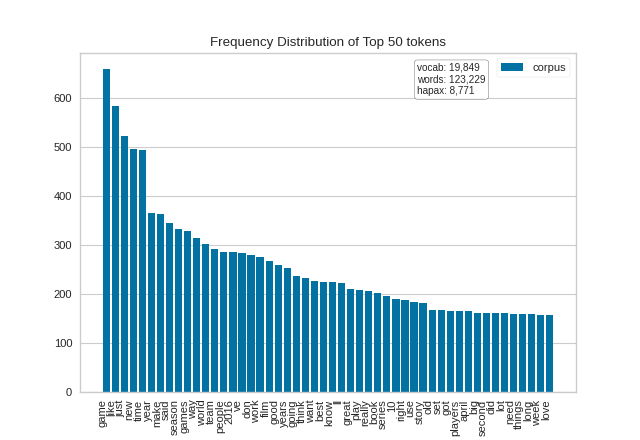 The FreqDistVisualizer does not perform any normalization or vectorization, and it expects text that has already been count vectorized. 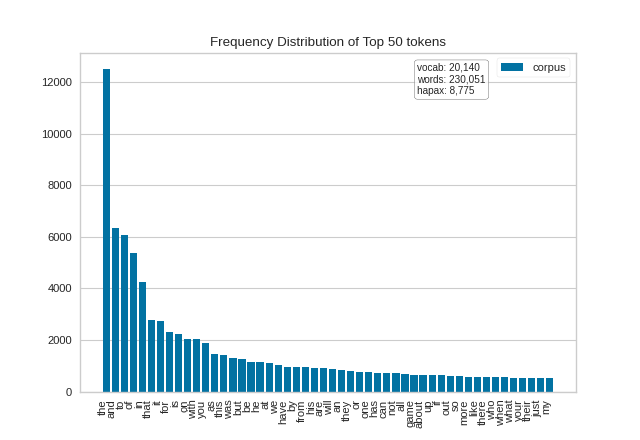 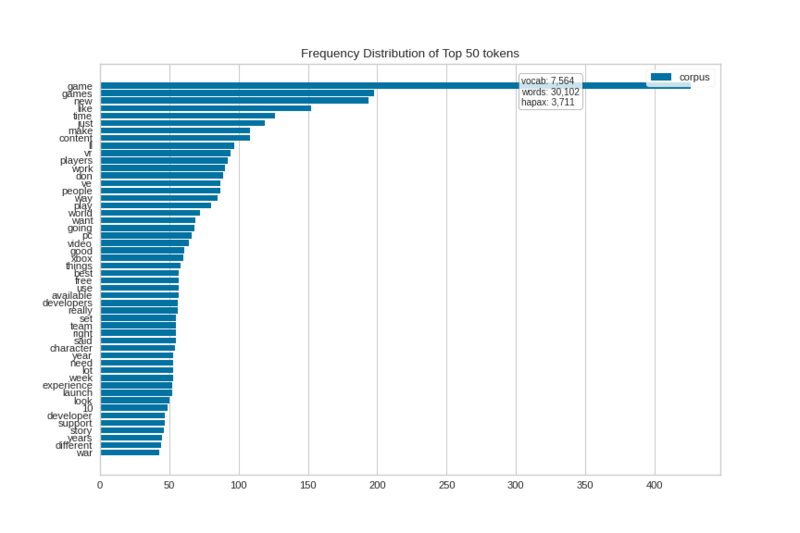 It is also interesting to explore the differences in tokens across a corpus. 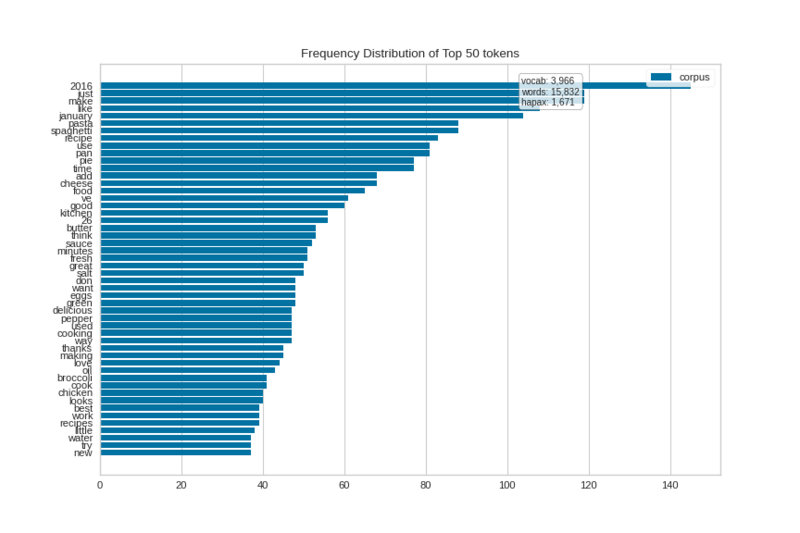 The hobbies corpus that comes with Yellowbrick has already been categorized (try corpus.target), so let’s visually compare the differences in the frequency distributions for two of the categories: “cooking” and “gaming”.